It has been reported yesterday that an investigation has discovered Indian children as young as 10 years old were being forced to produce blouses for a Gap subcontractor in the Shahpur Jat area of New Delhi. 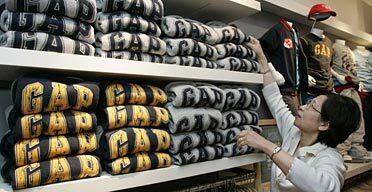 Gap is one of the biggest American retail chains that operates more than 3,000 stores and franchises across the world. More on this report here. How does 'being unreasonable' become a virtue ? Blogs are the no spin medium for Corporations.